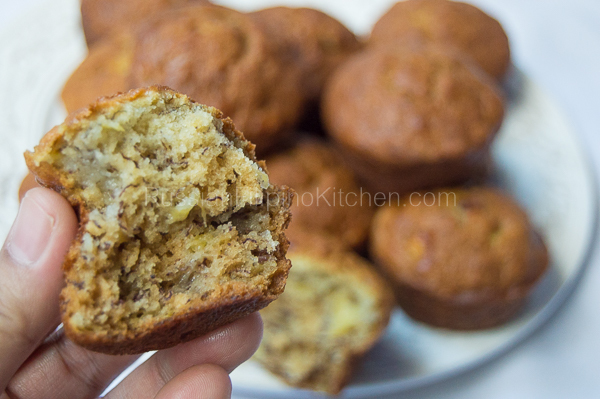 This banana muffin recipe is one of the best I’ve tried and so easy to make. 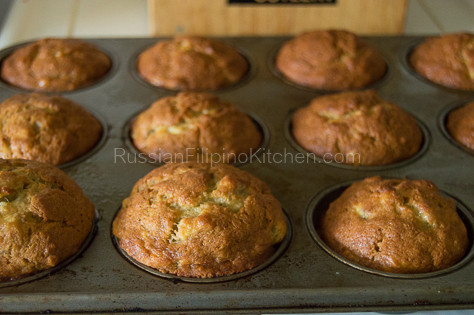 The muffins came out soft, light, fluffy, and of course delicious you’ll be tempted to eat more than one. 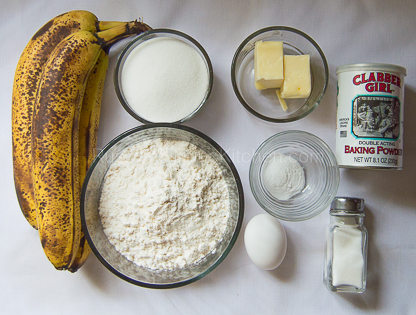 I make this alternately with this moist and dense banana bread every time we have overripe bananas. The recipe is adapted from allrecipes.com, and since the time I discovered it, it has become one of my favorites. It’s fun to make this with kids as they are easy to put together. Perfect for breakfast or snacks. Happy baking! *I’m going with banana sizes in the US. If you live in other countries, the sizes may be different so I suggest to go with measuring the yield after mashing which is equivalent to 1 and 3/4 cups. 1.Preheat oven to 350ºF (175ºC). 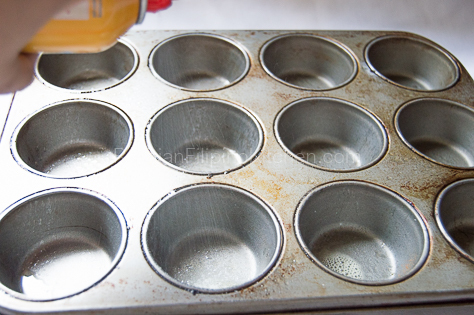 Grease muffin pans with oil or spray with cooking spray. If you want to use paper liners, spray them with oil as well so the muffins will come off easily. 2. 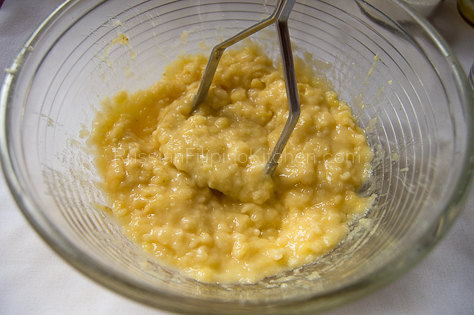 Place butter in a microwave-safe dish and microwave for 15 seconds till melted. If you don’t have microwave, place butter in a small sauce pan and melt on the stove top over low heat. Set aside until ready to use. 3. 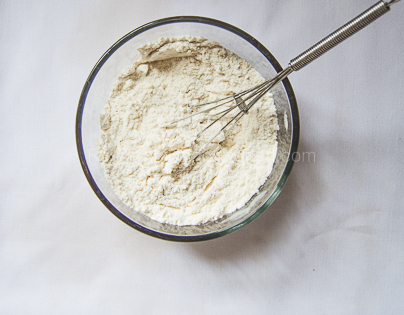 In a medium bowl, mix the flour, baking powder, baking soda, and salt using a whisk. Set aside. 4. In a large bowl, mash the bananas with a potato masher or fork. 5. 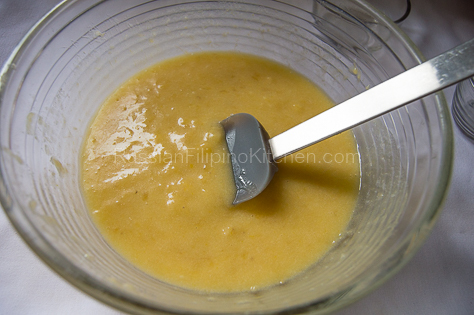 Throw in melted butter, sugar, and egg and mix to combine. 6. 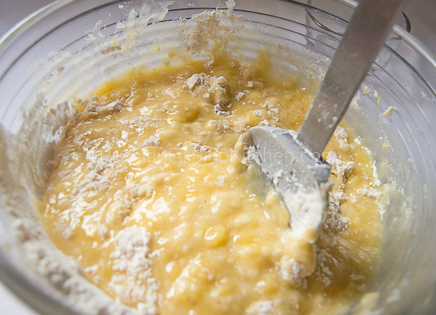 Fold in flour mixture and mix until smooth. 7. 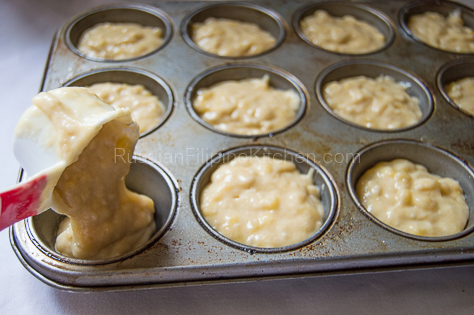 Scoop about 1/4 cup of batter into muffin pan. 8. Place on middle rack of the preheated oven and bake for 20 minutes. 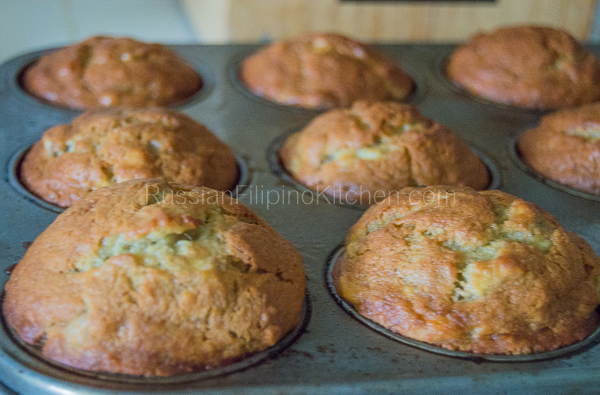 Insert a toothpick in the middle of the muffins to check for doneness; it should come out clean. Also, muffins should spring back when lightly tapped. 9. Remove from oven and allow to cool before serving. Preheat oven to 350ºF (175ºC). 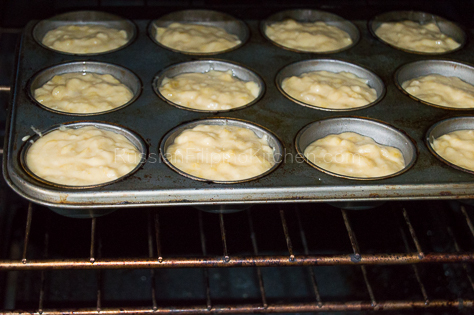 Grease muffin pans with oil or spray with cooking spray. If you want to use paper liners, spray them with oil as well so the muffins will come off easily. 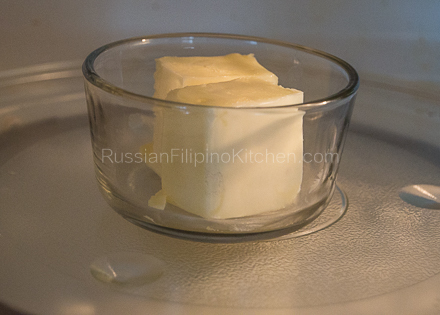 Place butter in a microwave-safe dish and microwave for 15 seconds till melted. 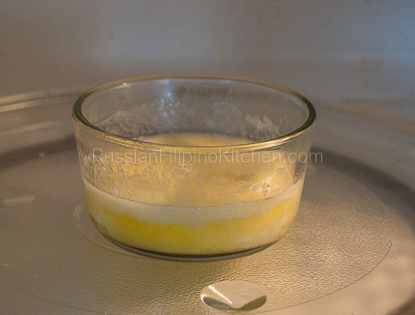 If you don't have microwave, place butter in a small sauce pan and melt on the stove top over low heat. Set aside until ready to use. 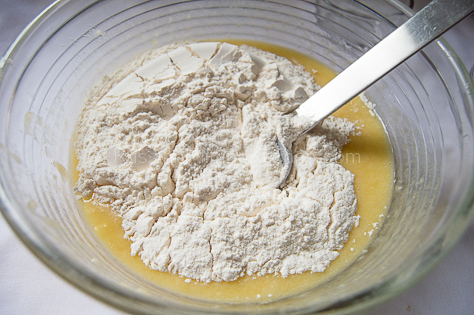 In a medium bowl, mix the flour, baking powder, baking soda, and salt using a whisk. Set aside. 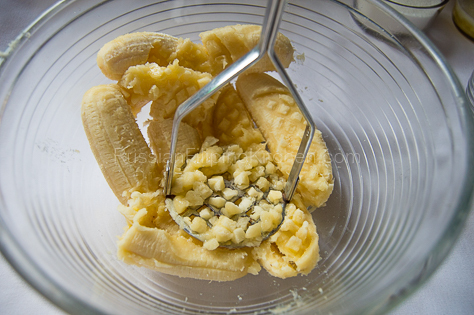 In a large bowl, mash the bananas with a potato masher or fork. 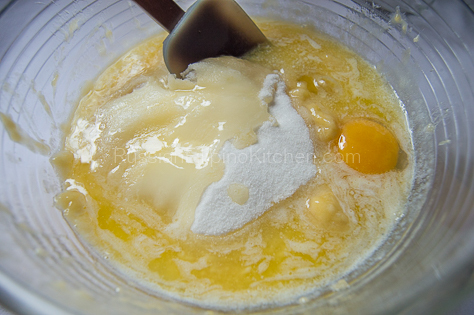 Throw in melted butter, sugar, and egg and mix to combine. 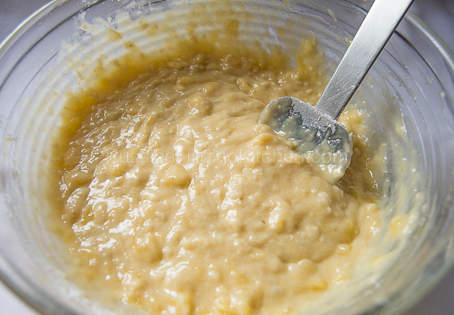 Fold in flour mixture and mix until smooth. 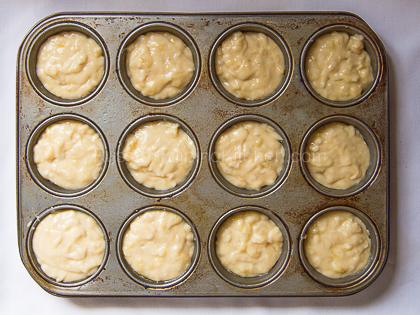 Scoop about ¼ cup of batter into muffin pan. Place on middle rack of the preheated oven and bake for 20 minutes. 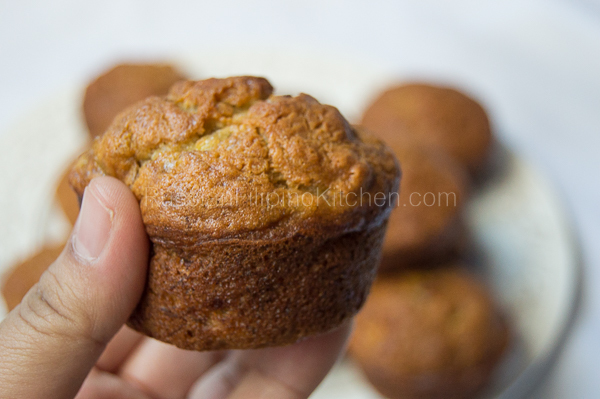 Insert a toothpick in the middle of the muffins to check for doneness; it should come out clean. Also, muffins should spring back when lightly tapped. Remove from oven and allow to cool before serving. Russian Filipino Kitchen Copyright © 2018.